In Florida worker's compensation cases, there is no statute of limitations related to medical care for a prosthetic device, which is a medical device inserted into a person to replace or augment a missing limb or body part. 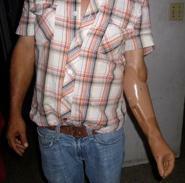 This is true provided the use of the prosthetic device is continuous and the Employer/Carrier is aware of its use. The claimant by his worker's compensation attorney has the burden of making this showing. This law was applied to an injury occurring in 2002 per the First District Court of Appeal in the case of Gore vs. Lee County School Bd., 43 So.3d 846 (Fla. 1st DCA 2010). The Court noted that for accidents occurring prior to 1994, there is no statute of limitations applicable to remedial treatment related to prosthetic devices, as Florida Statutes, Section 440.19 (1)(b)(1993) provided: "No statute of limitations shall apply to the right for remedial attention related to the insertion or attachment of a prosthetic device to any part of the body." The right of an injured worker hurt in Florida AFTER 1993 to continue to receive medical care for the area where the prosthetic device was utilized or implanted continues based on the Gore case. Although, the legislature removed the statutory provision exempting prostheses from the statute of limitations, that removal did not change the relevant case law which holds that a claimant's continuing use of a medical device or apparatus that is known by the Employer/Carrier tolls the statute of limitations. The Gore case stands for the proposition that so long as a claimant can establish that an employer or carrier has actual knowledge of his or her continued use of the medical apparatus prescribed by the authorized doctor, the statute of limitations is tolled during the period of such use and the claimant can then make a claim for benefits for additional medical care through his workers compensation attorney.